Engagement rings have been the symbol of true love and partnership for thousand years. This special occasion ring has been worn in the third finger of the right hand from where “vein of love” directly flow to the heart since ancient times. 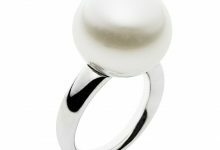 Generally, it is a common perception among people since centuries that women love to wear engagement rings which is totally right. However, like women, men also fond of wearing engagement rings. Engagement is a special day that unites two different souls and to pledge this there would not be any appropriate gift than gorgeous looking gemstone studded rings. Apart from buying a diamond engagement ring for men, nowadays men appreciate wearing fancy looking gemstones studded engagement rings such as ruby engagement rings, sapphire engagement ring, and emerald engagement rings. 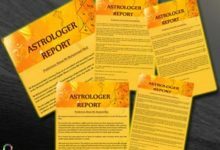 The primary reason why men have developed a soft corner or love for these loose gemstones or natural gemstones rings is that of their spellbinding beauty and competency to nurture love and prosperity in love-life or married life. 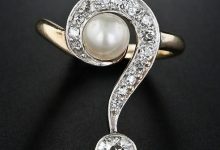 Given the above reasons, one other reason that encourages men to buy gemstones fixed engagement rings or wedding ring is its price which is comparatively low as compared to the diamond. While buying these precious stone rings do keep checking on the following quality parameters such as cut, clarity, and inclusions in the stone. The cut plays the vital role in the overall appearance of the stone. Cutting or partitioning stone from different angles will let the light refract from it in the different amount that altogether enhances or decreases the appearance of the stone. For instance, if an emerald is cut in the oval shape or round, square shape it will appear more shining and look more attractive. On the other hand, the poorly cut emerald stone will not appear astounding and attractive at all. Therefore cut matter the most while choosing this stone for engagement rings. By the word “Clarity”, we mean the number of inclusions that resides in the stone. A gemstone that contains a large number of inclusions will persist less clarity and shine. Moreover, wearing a highly inclusive stone will not bring the celestial powers which these precious gemstones hold. A standard grade ruby gemstone, emerald gemstone, sapphire gemstone or any other gemstone is a stone that occupies a number of inclusions which can easily be seen with the naked eyes. It is a primary grade of any precious stone and being sold at quite affordable prices. A fine grade stone is an advancement of the basic or standard grade of any precious or semi-precious gemstone. In comparison to standard grade stones, a fine grade stone attains very less number of inclusions that can’t be seen with the naked eyes. Furthermore, it looks more polished and attractive as compare to the former one. The premium grade stone is a high-quality stone which is extensively being tested and refined in the laboratory to wash-off all the impurities away from the gemstone. By the word ‘VS’, we mean that stone occupies extremely fewer inclusions and it can’t be seen with the naked eyes. Due to its quality up gradation, this stone is being sold at higher prices. 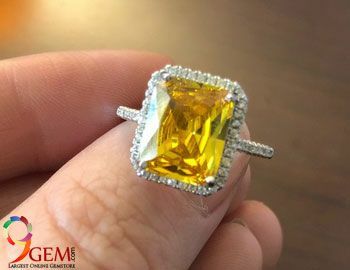 It is described as being the most superlative form of any gemstone which can be achieved after intensely refining and testing the stone in the laboratory. It hardly contains any inclusion and it is hard to find or capture any inclusion with naked eyes or with the help of a magnifier. However, the VVS or super premium stones are extremely expensive that put the huge burden on the pocket of the buyer. A large section of people while buying ruby gemstone engagement rings, emerald gemstones rings or sapphire rings presume that wearing heavy weighted or large weighted engagement rings will do the needful. Nonetheless, it is not true even wearing comparatively a less-weighted stone with superior quality will do the needful. 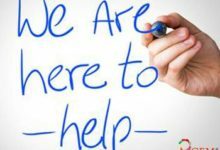 Therefore, while purchasing gemstone fixed engagement ring such as emerald rings, ruby rings or sapphire rings instead of paying much attention to the carat or weight; pay more emphasis to the quality and appearance of the stone. 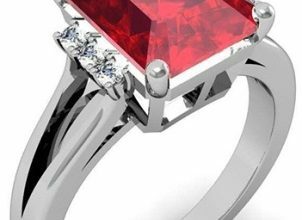 A less-weighted or carat ruby engagement ring with ultra clarity and no inclusions will prove more effective than a heavy weighted gemstone with an abundance of inclusions. Now let’s have a glance over the different gemstone studded engagement rings for men. The mesmerizing green color of the emerald or Panna stone and awestruck shine or luster of the emerald stone grabs the eyeballs of everyone in function. 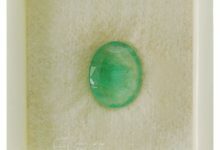 The appealing green color and ultimate shine of this stone are not less than diamond. 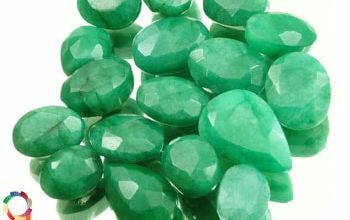 Besides its angelic appearance, the stone emerald belongs to the dynamic planet Mercury, which denotes true love, dedication, family, and intellect. Hence, wearing this stone as an engagement ring will bring true love and understanding between newly engaged couples. The best-looking emerald stone for engagement rings is found either in Zambia or Colombia. 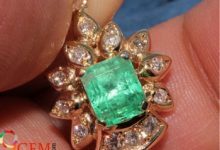 The emerald shape will suit this stone the most because it displays a large number of facets of the stone. So, eventually looks more impressing and eye catchy. And, they will look best when stud or fix in the engagement ring for both men and women. Besides this, cushion heart, pear, oval and round shape are other popular shapes of this stone. The classic and elegant red color ruby ring will suit you the most on the special occasion of wedding or engagement. Ruby has been used for engagement or wedding ring since ages due to its ability to invite love, tenderness, harmony in the marital relations. Both men and women admire wearing ruby engagement rings and wedding rings. The Burmese ruby or SriLankan ruby is considered to be the best pickup for these auspicious occasions. The heart shape ruby ring will display your love and affection for your partner in the true sense. The heart cut ruby ring will absolutely win you accolades from every corner of the world. Gold, platinum, and diamond will look amazing with heart shape ruby rings. Aside heart shape rubies come and look compelling in round shape, cushion shape, star facets, emerald shape and oval shape. Similar to its contemporary precious stones ruby, emerald. The sapphire is an excellent quality mineral that looks brilliant when adopted in the form of rings. The elegant blue color will look amazingly attractive in the engagement ring. Sapphire also represents the planet Saturn and wearing it will emerge beneficial for its wearer and carry love, affection, and understanding between couples. Thus, it is the right choice to adopt this excellent stone in the diamond, platinum or silver ring. Alike men, women can also wear blue sapphire engagement ring for this special occasion. The color and superlative brightness of the blue sapphire will earn accolades for you from every corner of the function. Sri Lankan origin blue sapphire stones are best for you if you want to wear it in the form of engagement rings. Besides SriLankan blue sapphire, America, India, Africa and Myanmar are famous for producing the highest quality blue sapphire stones for engagement rings. While purchasing blue sapphires for engagement ring must consider the cut or shape of the stone. The cushion cut blue sapphire will look fashionable and lustrous because it displays 56 facets. Hence, it will look desirable while wearing it in the form of an engagement or wedding rings. The oval shape blue sapphire rings are also quite in trend nowadays. It reflects a huge amount of light which is being fallen on these stones and look extremely bright. Besides Cushion shape and oval shape, blue sapphire stone rings will look mesmerizing when it is shaped in emerald shape, round shape, heart shape, pear shape etc.. 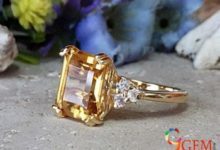 Thus, these are all precious stones supported engagement rings that you can purchase to wear or gift your partner on the benevolent occasion of engagement or wedding. With the above-given explanation about each gemstone, one thing that you should keep in mind while purchasing precious gemstone studded engagement rings that give topmost priority to the quality of the stone. And another factor should follow subsequently because buying a fake or synthetic stone will not either look impressive or serve the purpose. Always buy the ruby, sapphire, emerald engagement rings for men and women from reputed online dealers who have earned their name and fame in the industry. Do not fall for cheap or less expensive stones if you care about the quality the most. 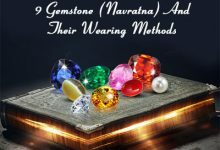 Buy certified, natural precious stones for engagement rings or wedding ring because they have the generic ability to derive positive changes in your love and personal life. How Onyx Gemstone is Helpful for Healing & Meditation? What Are Astrological Benefits Of Ruby Gemstone? What Are Rituals Wearing Blue Sapphire Gemstone (Neelam)? 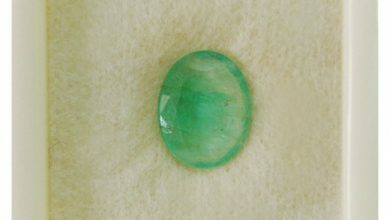 How To Choose High Quality Emerald Gemstone?